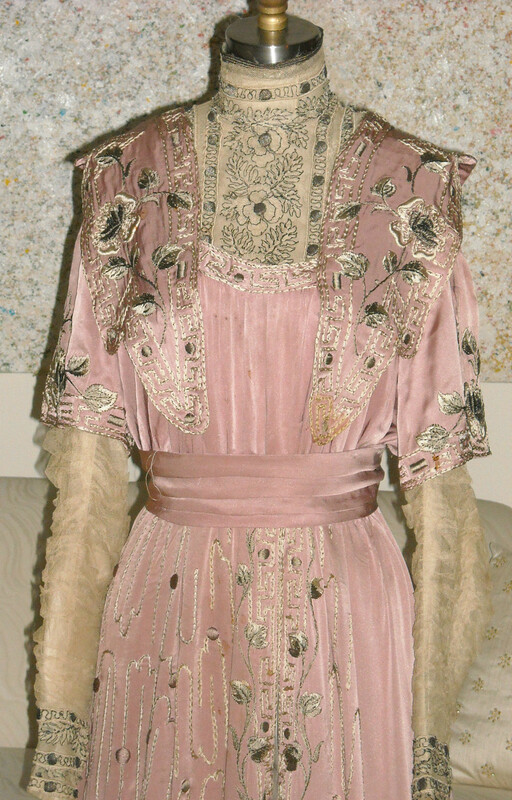 This is a gorgeous Victorian mauve dress with silk embroidered flowers, beads, and metallic thread. 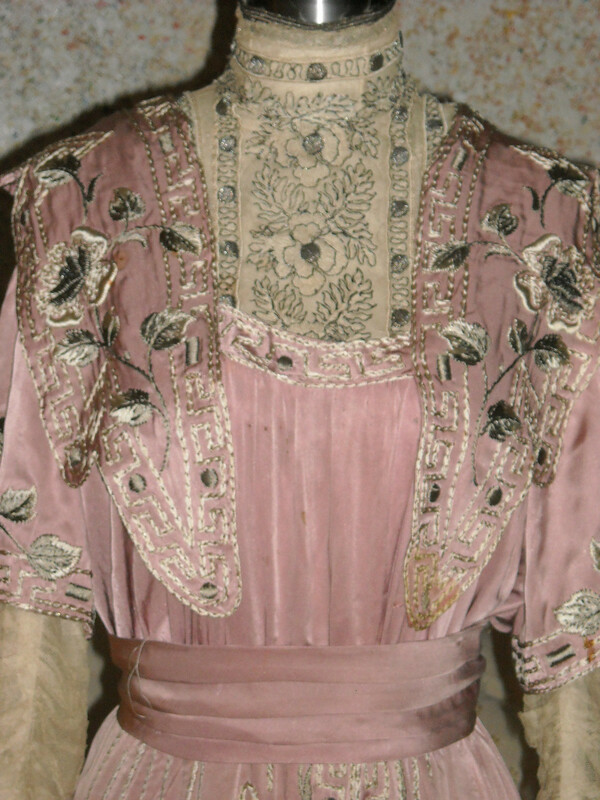 It has a high neck, netting on the top, long ruched net sleeves, and long train in the back. 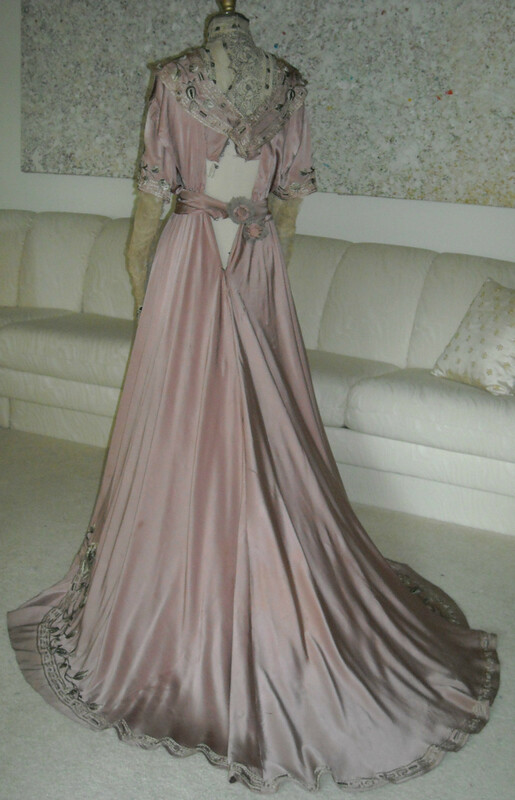 It feels like silk or a silk blend. 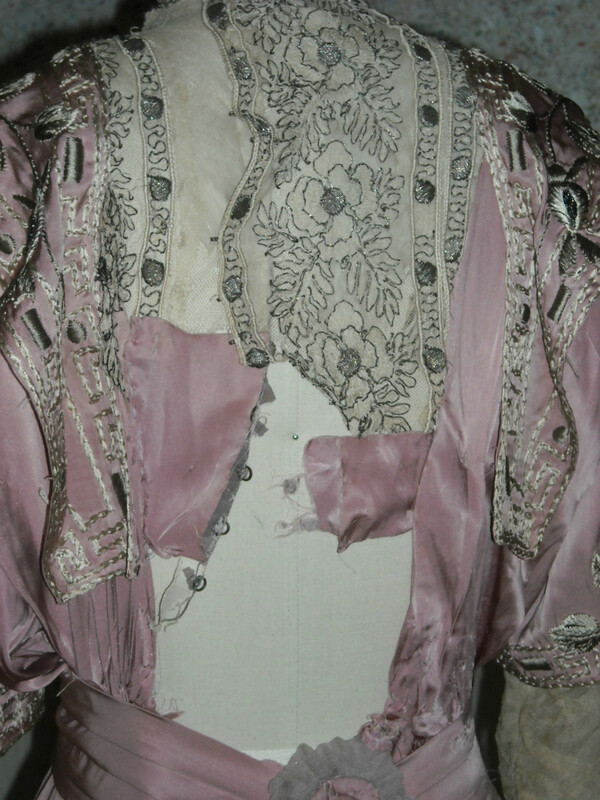 Unfortunately someone tried to alter the back and waist leaving it in need of a lot of restoration (as shown in some of the photos). 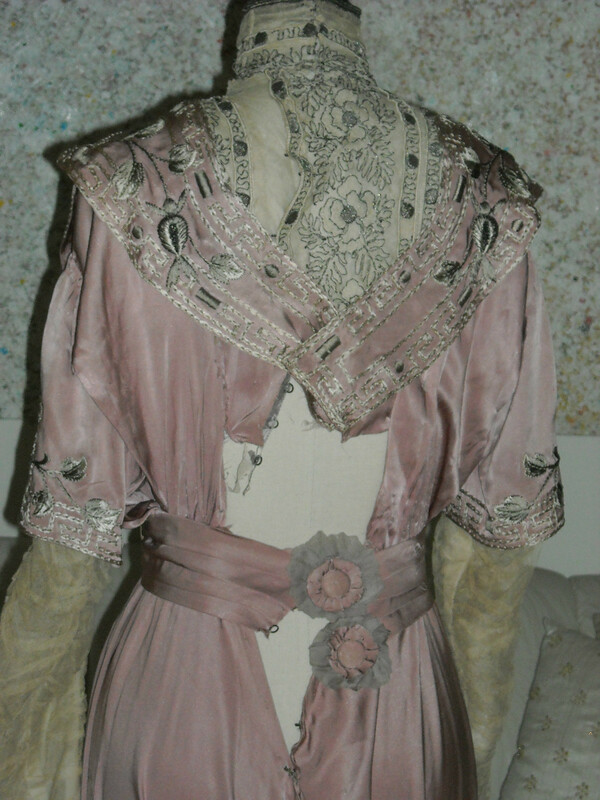 The waist needs to be restitched, the whole back where the hooks and eyes were needs repair, seams in the back need stitching, and the band that goes around the waist needs to be repaired. 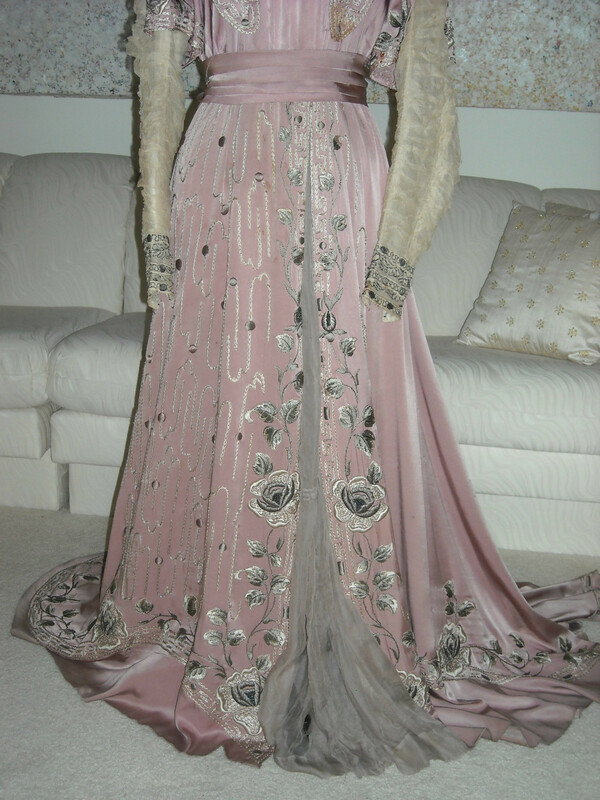 The skirt has a slit in the front with a piece of grey sheer fabric under it that is deteriorating. 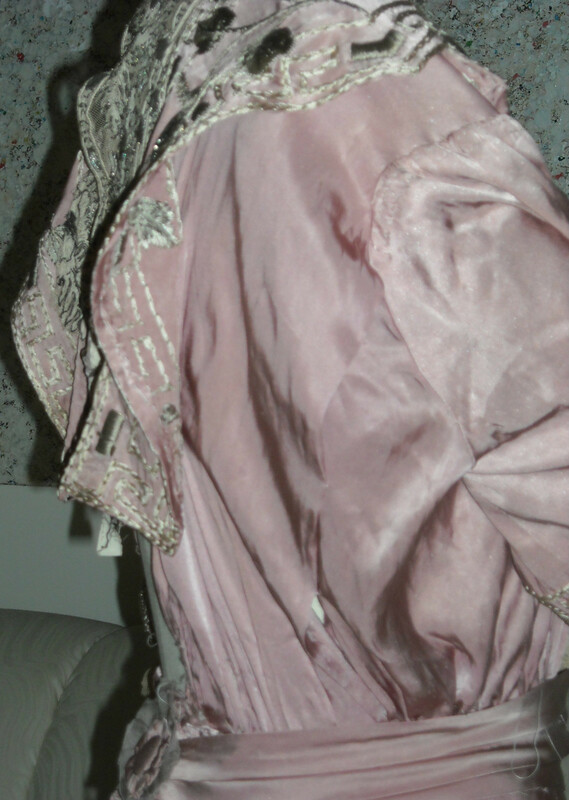 The sheer grey fabric also lined the top and that is shattered also. There are holes in the netting, loose seams, loose threads, stains, and missing hooks and eyes. 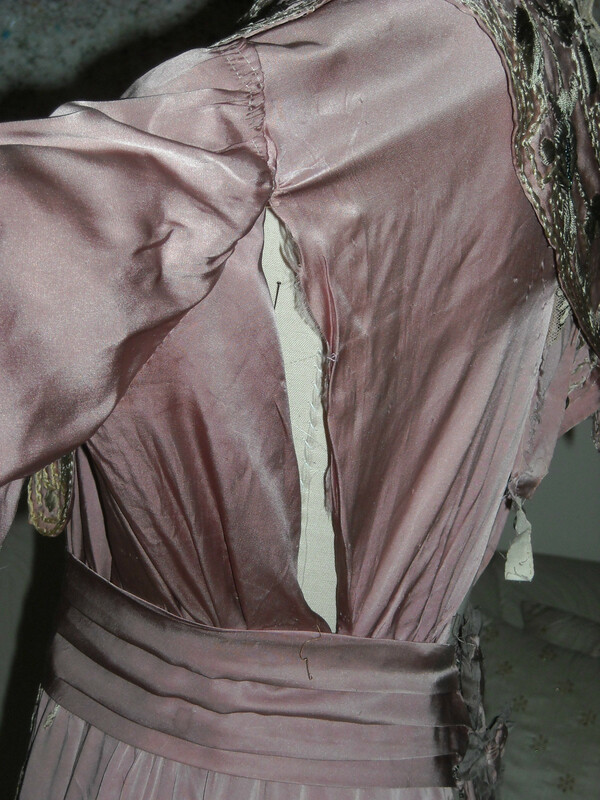 It is difficult to tell what the measurements are with the back of the dress in such disrepair. 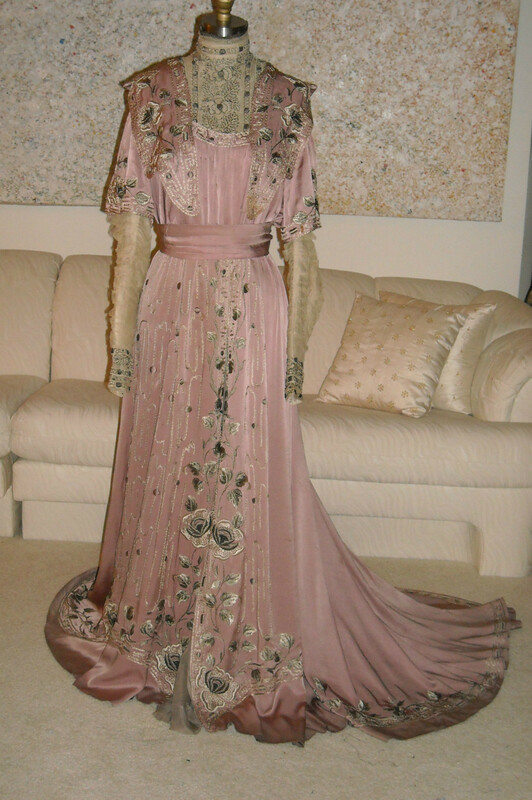 I have described this item to the best of my ability - if you have any questions please ask me before bidding. Please do not bid if you have no intention of buying. Buyer is to pay all shipping and insurance. Seriously, this is beyond stunning. 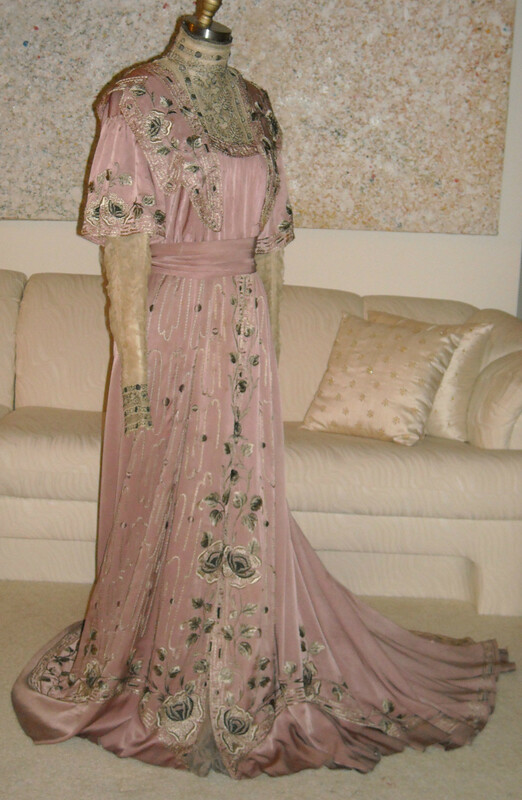 It doesn't look like it would be difficult to restore this dress. 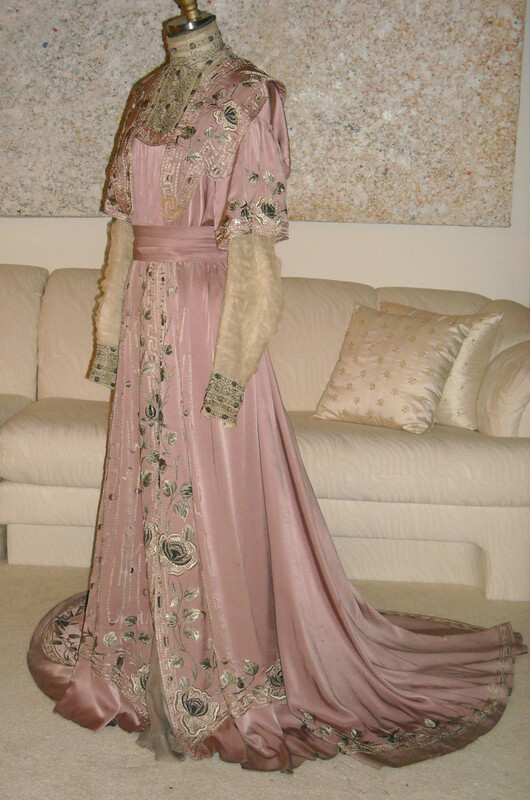 It's not Victorian, but a truly magnificent early Edwardian.